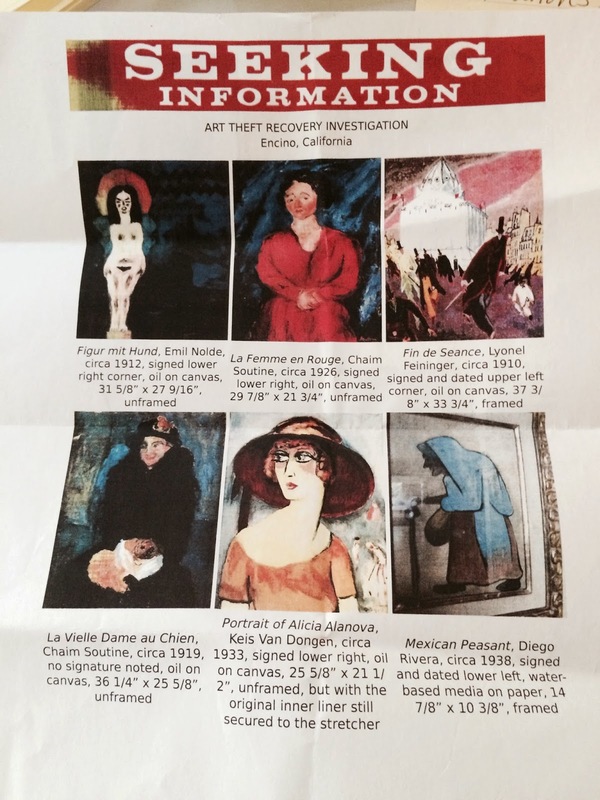 Breaking News: Will the Real Owners of the Stolen Paul Gauguin Painting Please Stand Up? A Case for Mediation. 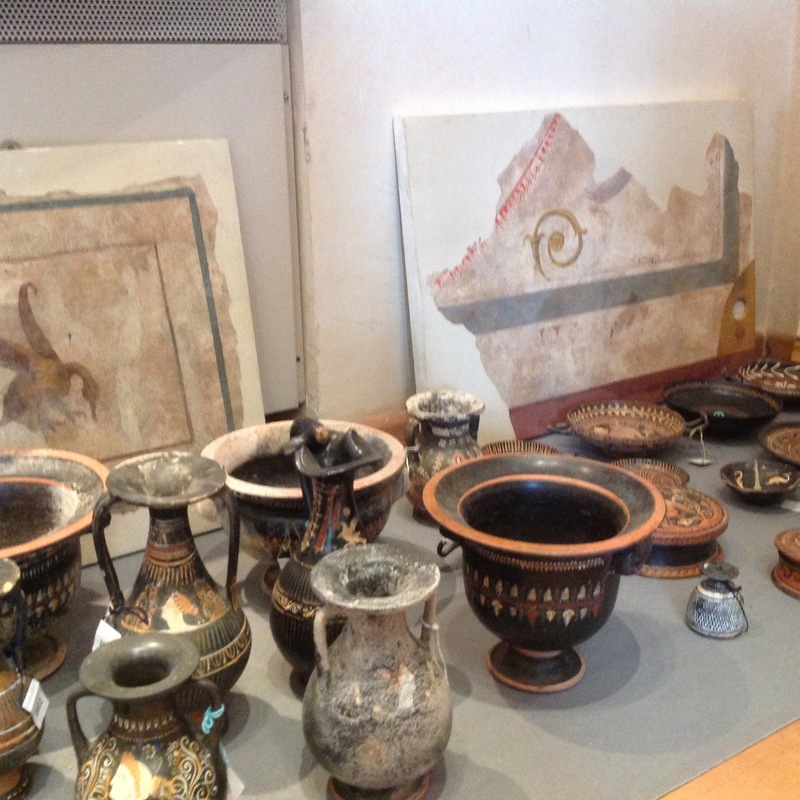 In April 2014 the stolen art world ignited when a press conference conducted by General Mariano Mossa of Italy’s Comando Carabinieri Tutela Patrimonio Culturale art crime squad and the country’s Minister of Culture and Tourism, Dario Franceschini, announced that Italy had recovered two stolen paintings worth more than 33 million euros. Originally owned by philanthropist Mathilda Marks, daughter of Michael Marks, who founded the Marks and Spencer retail empire and her husband, Terence Kennedy, the two paintings, Fruits sur une table ou nature au petit chien (Still Life with a Small Dog) by Paul Gauguin and Pierre Bonnard’s La femme aux deux fauteuils (Woman with Two Armchairs) had been stolen from a opulent London flat in Chester Terrace in 1970. 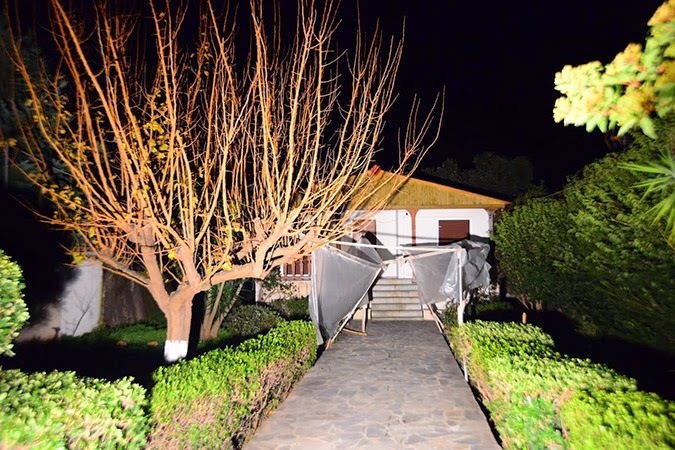 The art thieves, posing as burglar alarm repairmen, gained access to the house on the pretext of verifying the owner’s alarm system. Pretending to go about their work, the criminals quickly removed the artworks from their original frames and bolted while the housekeeper was distracted preparing tea. After their theft, the art works were smuggled out of England and on to France where they were later abandoned on a Turin-bound train arriving from Paris. 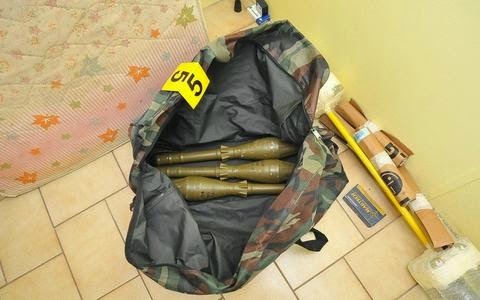 The culprits were never identified though police speculate that whoever was transporting the paintings may have abandoned them when they were spooked by customs officials on the train. 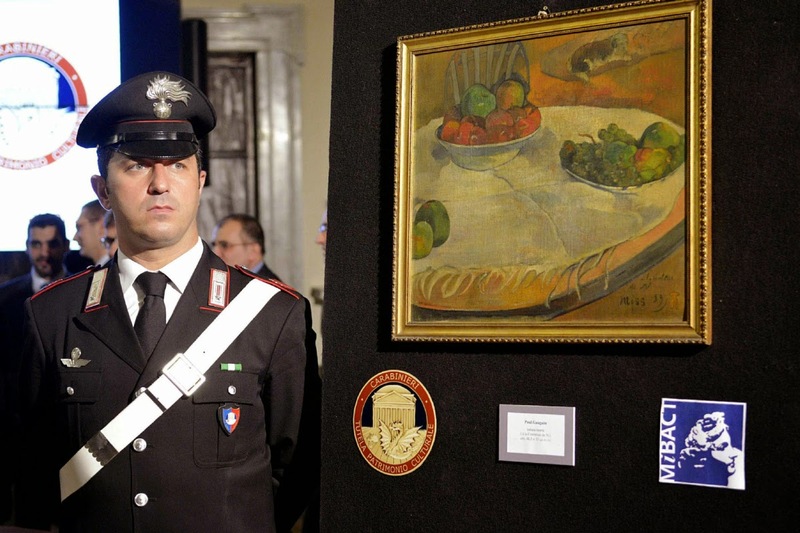 Found by railway inspectors, the two paintings languished for more than a year in the Turin train system’s lost property section before being auctioned off by Italy's national railway network in 1975 as unrecovered lost property. 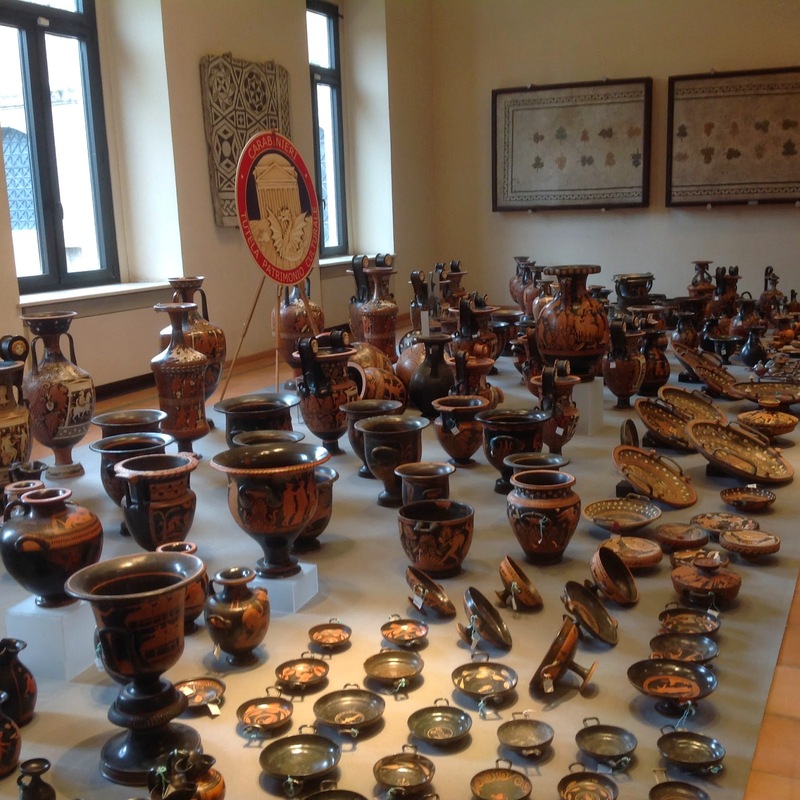 This time period is significant because the sale occurred five years before the Carabinieri's famous art crime tracking database came into existence. Unaware of their importance, the pictures were sold for a mere 45,000 lire – €26 in today's money, to a Fiat employee identified only as Nicolò, who later moved back to Siracusa, Sicily when he retired from the auto industry job as a metal mechanic in Turin. 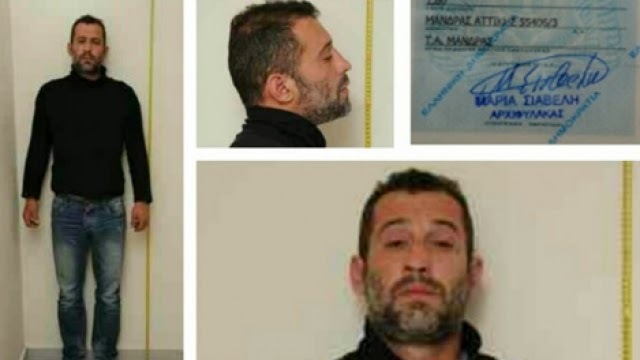 The Antiques Trade Gazette, reported that Rome’s public prosecutor Marcello Cascini, has stated that the Carabinieri TPC had been alerted to the paintings when a friend of the Italian buyer tried to sell them. 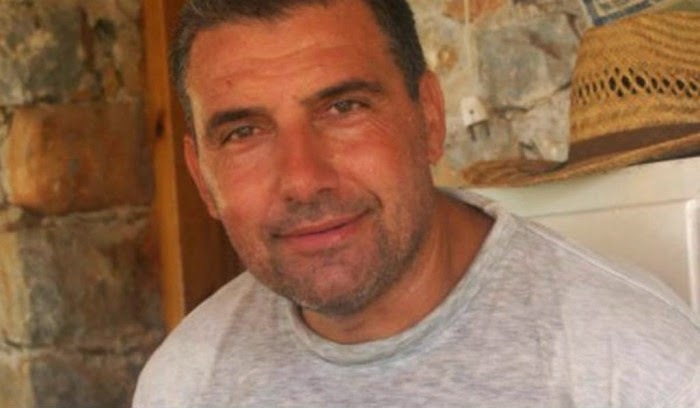 Other news services have reported that the autoworker’s son, Salvatore voluntarily contacted the Carabineri TPC directly when he began to suspect that his father’s paintings where not merely bargain basement knock-off’s. In either case, the family members have been cooperative and have avoided the lime-light while the paintings were sequestered in 2014 until rightful ownership could be established. Who is entitled to proceed for restitution and is possession really 9/10ths of the law? Despite EU efforts to reach uniformity, each domestic law system in the EC provides specific regulations that may vary between Common Law and Civil Code approaches in determining who the rightful owner of a stolen object is. 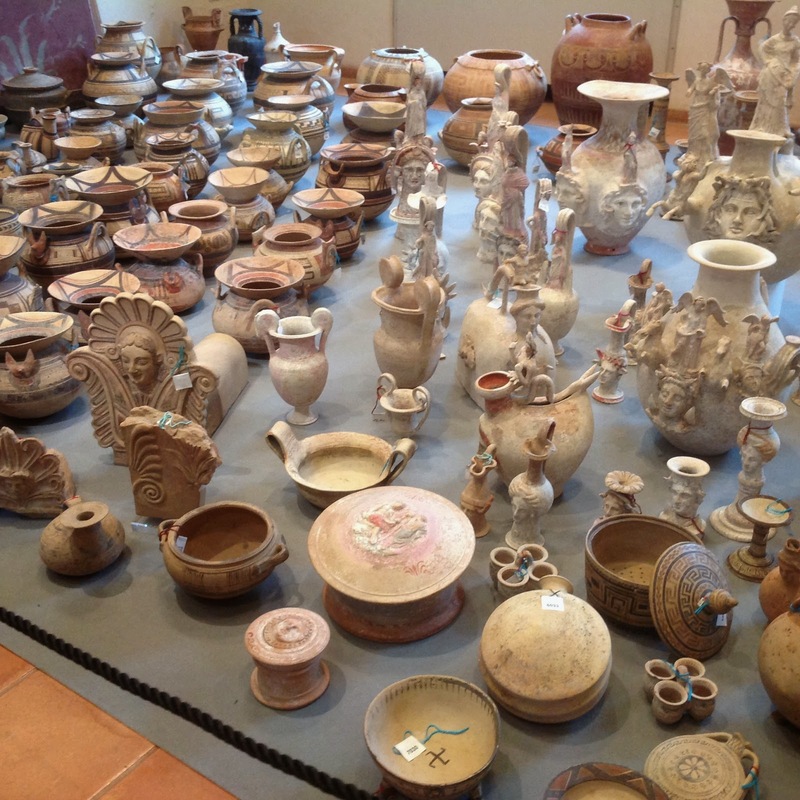 Following Art.1153 of the Italian Code, "Effects of the acquisition of possession”, in order to resist a forfeiture claim and protect his interests, the bona fides Sicilian buyer first would have to establish that he acquired the artworks and currently holds the items under dispute. Second he would need to prove that he had a "valid" title upon which the goods have been acquired and third he would need to show that he was acting on good faith when he purchased the paintings. Based on Italian civil code criteria the paintings would have had to have been owned by the Fiat worker for 10 years if he was unaware they were stolen goods or twenty years if he had any knowledge that the artworks he had purchased were hot art. 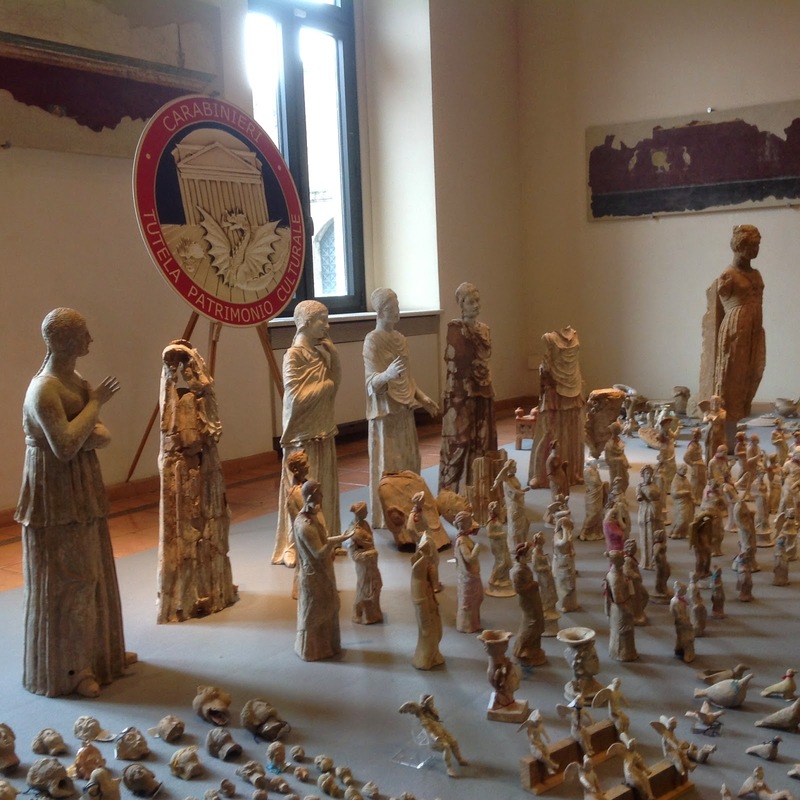 On the basis of the civil code in Italy, information provided by the Carabinieri TPC that specializes in art and antiquities and given more than forty years had passed since the time of the London theft and subsequent purchase, the Italian courts ruled in the autoworker’s favor last month. The property was returned to its Italian owner who reported that he planned to sell the Gauguin. His victory proves there is some truth to the old adage, ownership is easier to maintain if one has possession of something and difficult to enforce if one does not. Italian law. UK law. Swiss Law. 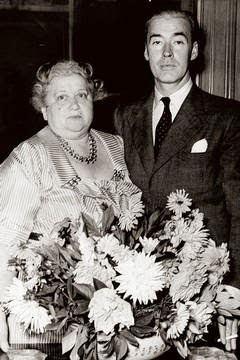 But while Mrs. Marks and her American husband, Terence Kennedy, had no children they did have heirs to their vast fortune. Terence Frank Kennedy met Mathilda Marks in Paris and were married shortly thereafter on 23 August 1951. A flashy couple, they travelled frequently and spent their money on jewellery, cars, dogs and art. They would buy the Guaguin painting in 1962 from Sotheby’s in New York. Speaking with Richard Ellis, director of the Art Management Group and a former head of Scotland Yard's Art and Antiques Squad, ARCA learned that when Mathilda Marks died 01 September 1964 she left her widower as the principal beneficiary to her personal estate, leaving him the pictures, which remained in his Chester Terrace home in Regents Park until the high profile art theft in June 1970. Later he would close the house and travel between Switzerland, London and the South of France where he met John Henderson, then a young actor, who would go on to serve as his personal assistant after he suffered from a major stroke. Henderson would become Kennedy's lifelong friend, support person and constant companion for the next twenty years. When Mr. Kennedy died in 1997 he made Mr. Henderson his sole heir under a will administered in Switzerland. In addition to a will, Mr. Henderson can produce the complete provenance of the paintings and their original frames, complete with exhibition history. According to Ellis, the terms of Kennedy’s will means that all of Mr Kennedy's possessions, whether in his keeping at the time or not, now belong to John Henderson, inclusive of the now contested stolen pictures and the paintings' frames which he still has. The fact that investigations revealed no insurance payout having been made on the pictures, means that at least under UK law, Mr. Henderson retains clear title to the art works. Where do the “owners” go from here? Mr. Ellis reported that he is attempting to schedule a meeting with Roberto Matarazzo, Italian legal counsel to the 70-year-old retired Fiat factory worker arguing that this evidence seems to dictate that the Carabineri TPC and Italian Courts may not have satisfactorily investigated the claim to ownership with regards to these valuable artworks prior to their ruling in the retiree’s favor. Ellis would like to set up an appointment to discuss the matter in Naples as soon as possible but definitely before any potentially, controversial sale. 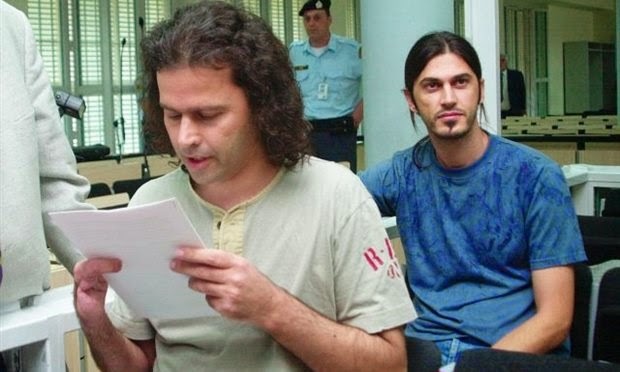 This may be a perfect opportunity for all parties to consider the advantages of extra-judicial methods of dispute resolution through the use of a mediator. By sitting down to talk and finding an agreement via mediation on this matter, both parties may be able to arrive at a satisfactory resolution for all parties via Directive 2008/52/EC of the European Parliament and of the Council of 21 May 2008. This directive is specifically intended to encourage amicable dispute resolution vs. long litigious drawn out battles, particularly in civil and commercial matters. 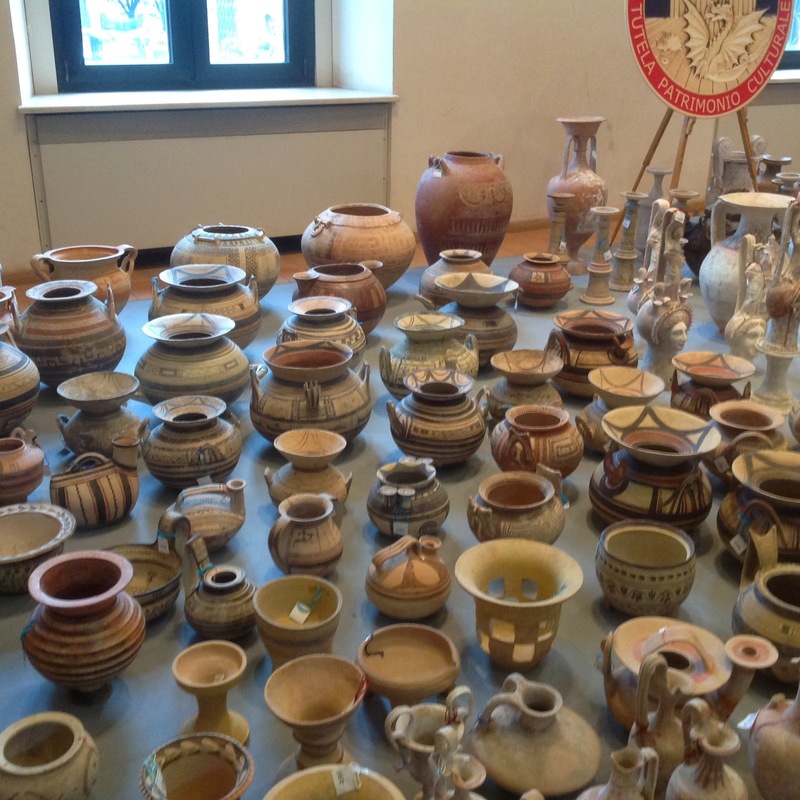 Its the appropriate recourse for art and cultural heritage dispute in the event of an art theft where both the heirs and the purchasing party have vested interests, financial or emotional, in the artworks. 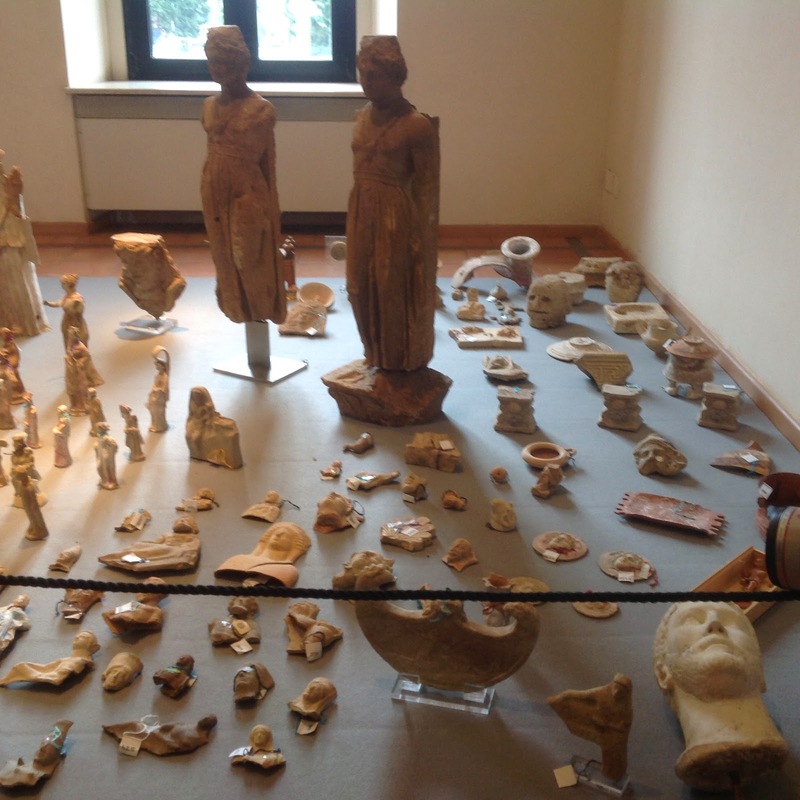 ARCA’s blog readers have followed the cases of Italian antiquities trafficking for practically as long as there has been an ARCA blog. 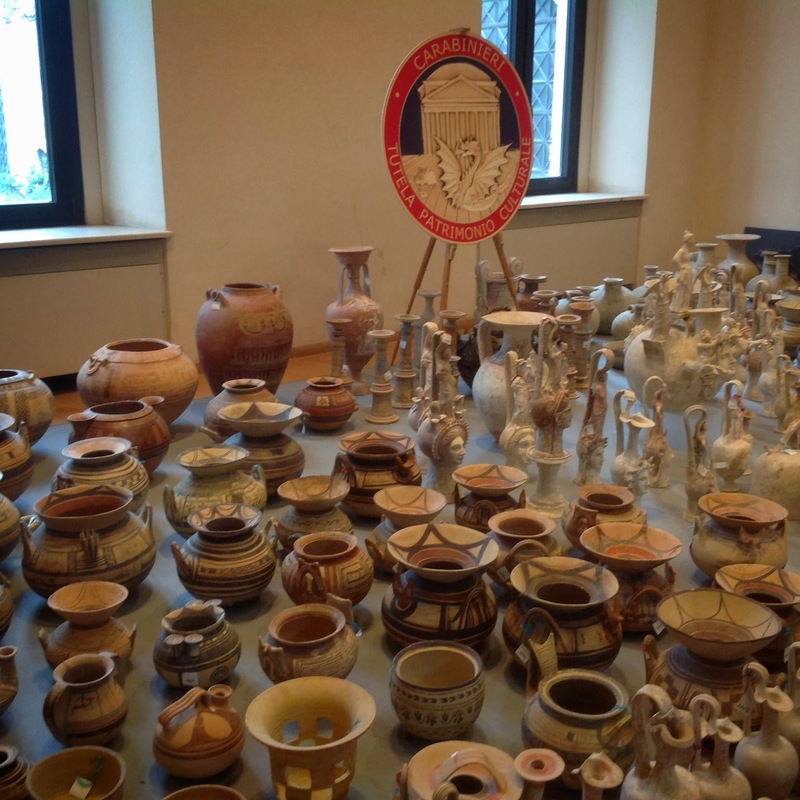 Antiquities dealers, suspected of art crimes with names like Giacomo Medici, Robin Symes, Robert Hecht, Christo Michaelides, and Gianfranco Becchina are names you can search on and who each have pages of blog posts dedicated to them. For those that want to delve further, books like The Medici Conspiracy and Chasing Aphrodite give English language accounts of the cases and investigations surrounding these dealers and for those who read Italian, Fabio Isman’s multi-year investigation I predatori dell’arte perduta explains why Italy has fought so hard to have its stolen antiquities returned home. But in the background of all this, were the artworks themselves; artwork large and small, artworks looted and sold, and artworks looted and almost sold, had it not been for the quick thinking of investigators who diligently worked, in some cases for years, to put the pieces of this one puzzle together. 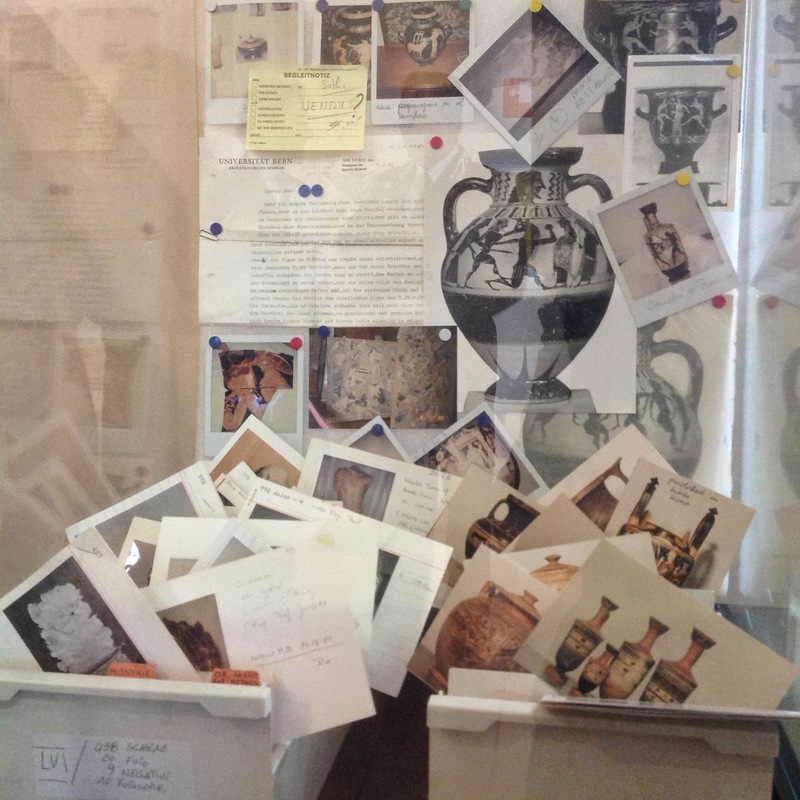 Those who have worked on these cases know how hard it is to identify suspect antiquities, especially when snapped on crumpled Polaroids. 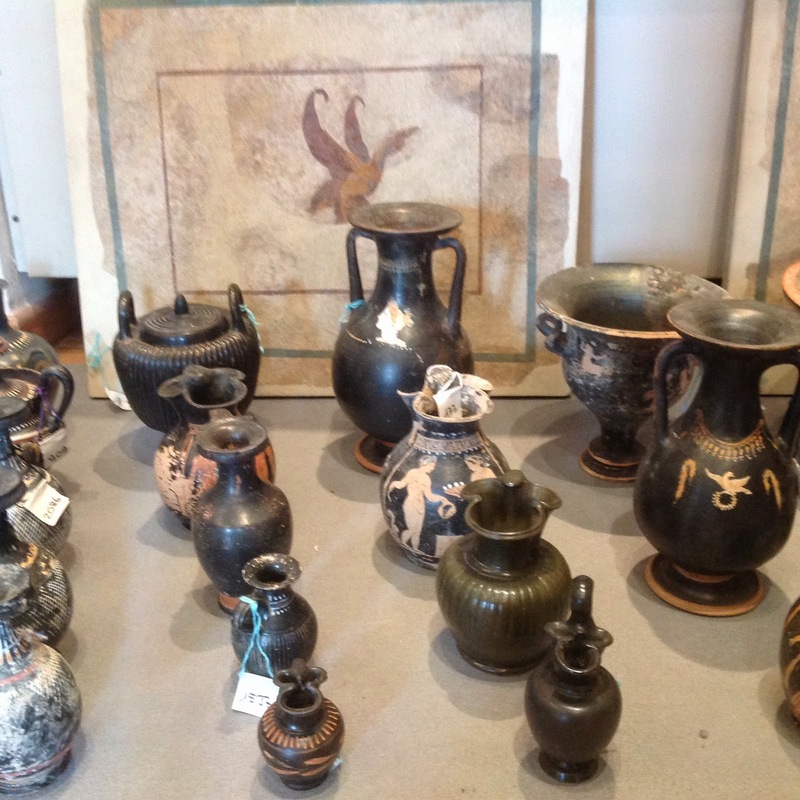 Matching smashed pot fragments in photos taken in a darkened basement or the boot of a car with professional-quality photos of finally restored masterpieces on sale in auction catalogs takes a sharp eye. More than that, it takes a considerable amount of patience, cooperation and collaboration with legal and law enforcement authorities to bring these articles home. 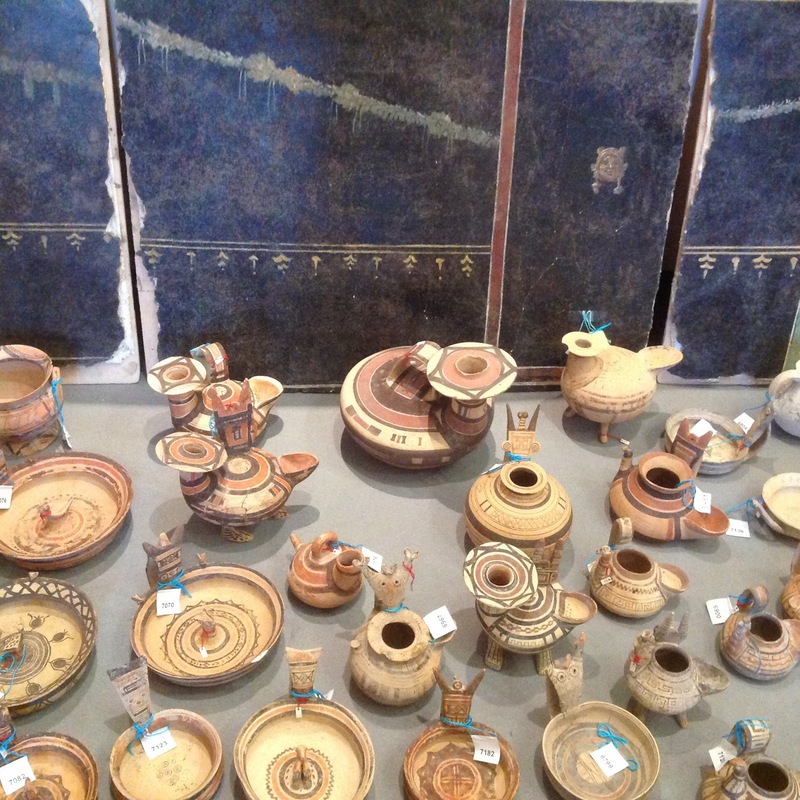 How did these objects get from an unknown archaeological site to a middleman? Who were the individual tombaroli? 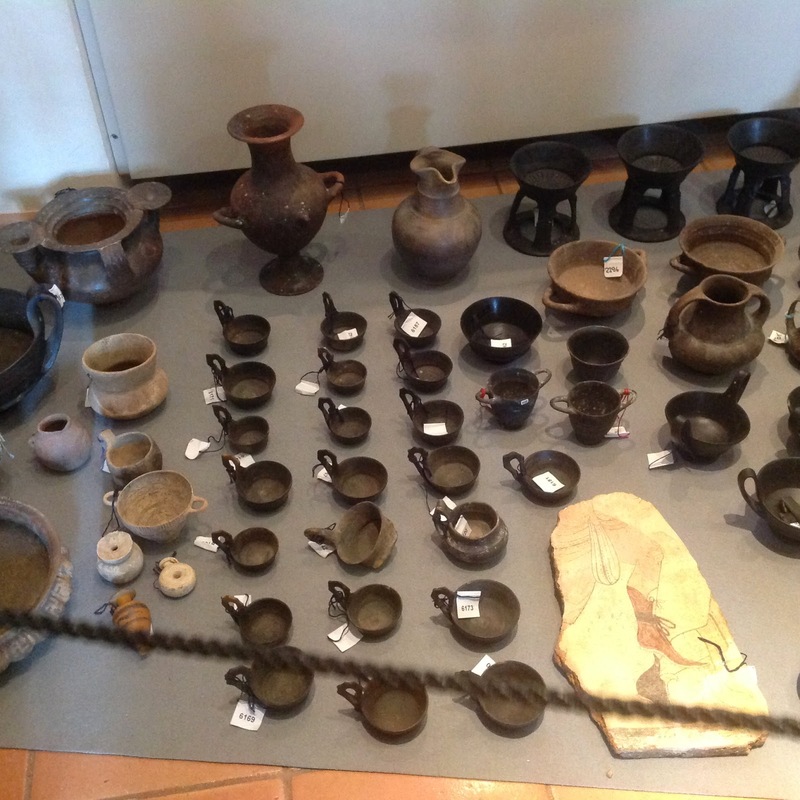 Who were the intermediaries who physically transported these objects to dealer warehouses in Switzerland? Why were museums and art collectors so quick to turn a blind eye to these objects' lack of collection history? All of these are questions we may never be able to fully answer, but which have been speculated on in minute detail. What maybe hasn’t been examined, or at least not in such a visually dramatic way is the amount of work behind this laborious investigation. The work of the Carabinieri TPC, the work of Italy’s state prosecutors and expert consultants, and the work of Italy’s Ministry of Culture. But instead of trying to tell their story in this blog post, perhaps its best to let photos of what they have recovered speak for themselves. 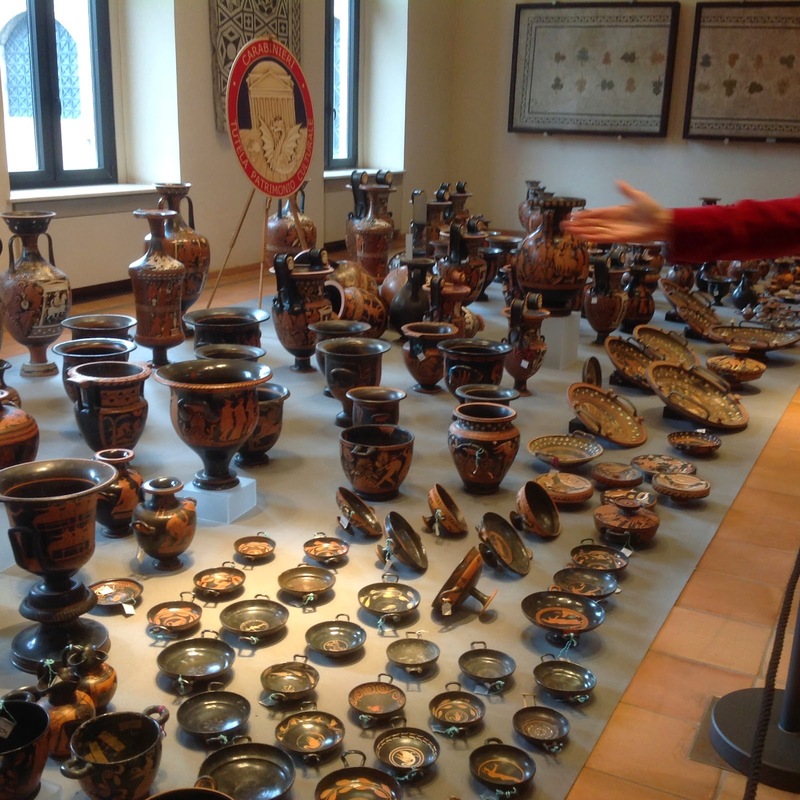 The imagery you see here comes from one singular organized crime investigation presented today at the National Roman Museum at The Baths of Diocletian (Museo Nazionale Romano alle Terme di Diocleziano). 5,361 archaeological objects, each ripped from their context, giving us no known site of origin to tell us about the place where they were taken from. 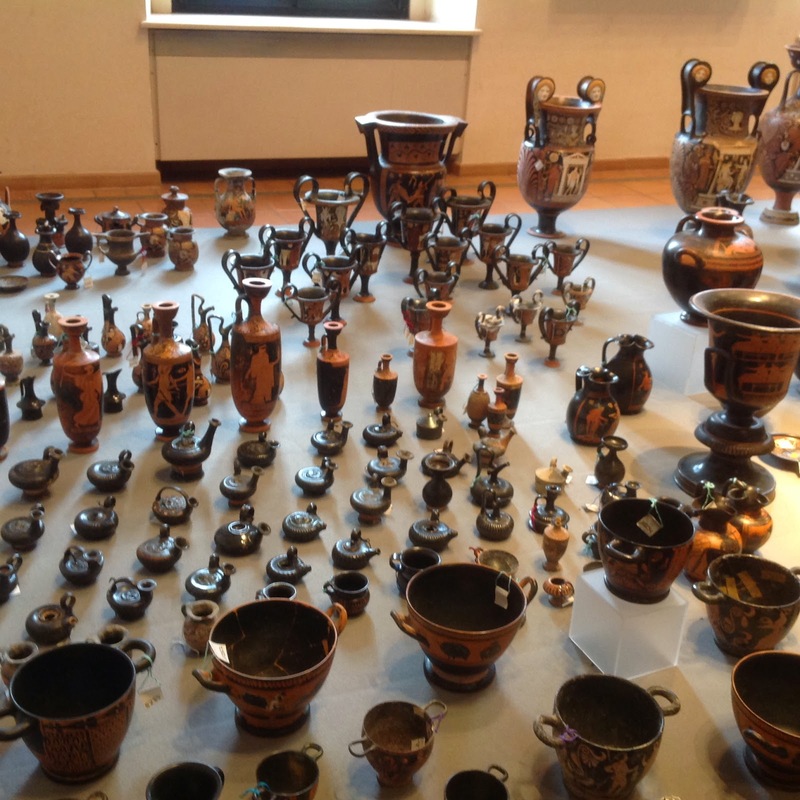 The objects date from the eighth century BC to the third century AD., all looted, all displayed together in one place. 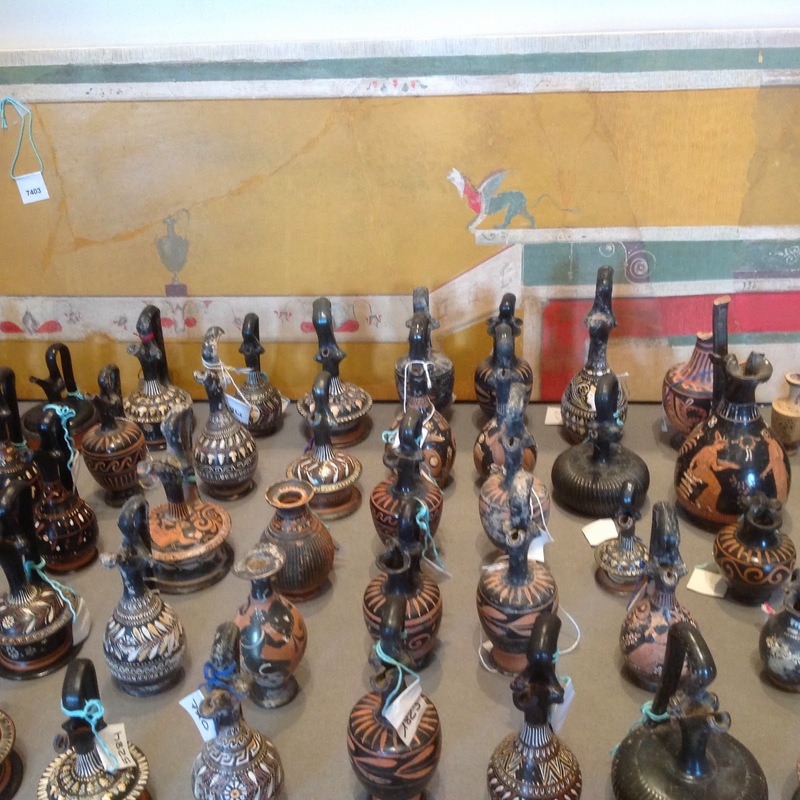 Each piece represents an artwork stolen from Campania, Lazio, Calabria, Puglia, Sicily or Sardinia. One trafficking enterprise. How many more are there? 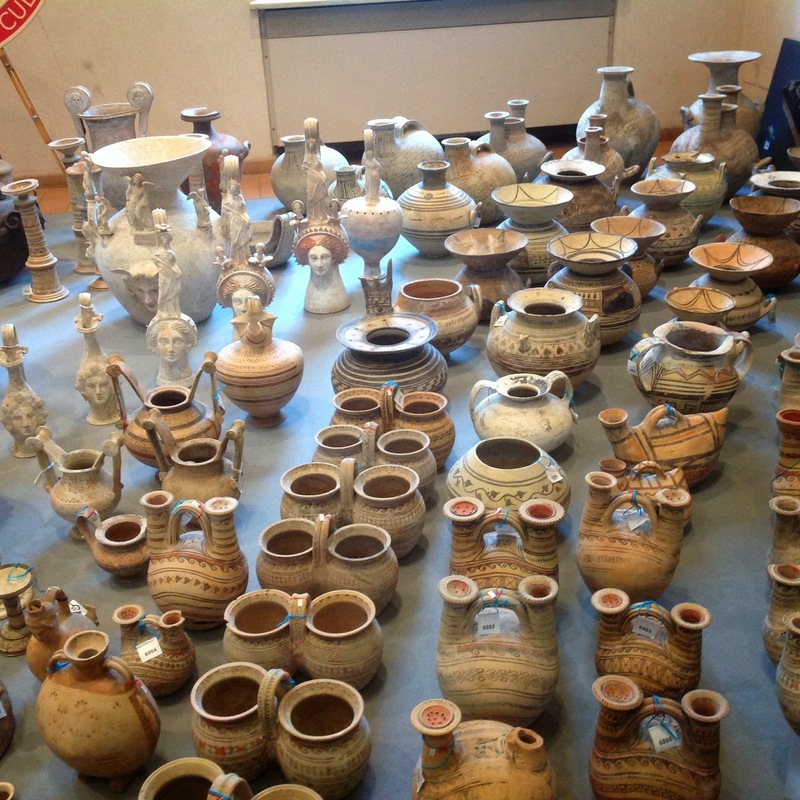 Note: The accompanying photographs and video in this blog post represent approximately half of the 5,361 antiquities confiscated in Basel, Switzerland in 2001 as part of Operation Teseo. Italy’s court reached its final and lasting verdict of confiscation via the Italian Supreme Court in 2013, which was then validated and confirmed by Switzerland. 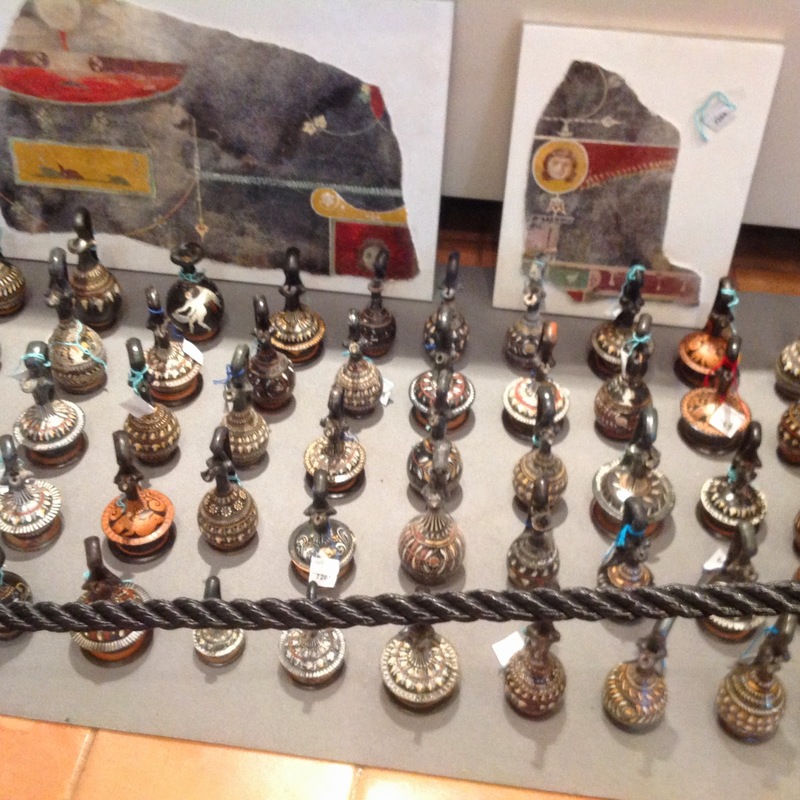 These objects have been in Italy since 2004 and do not represent a “new” seizure as has been indicated by some journalists not familiar with the cases history. 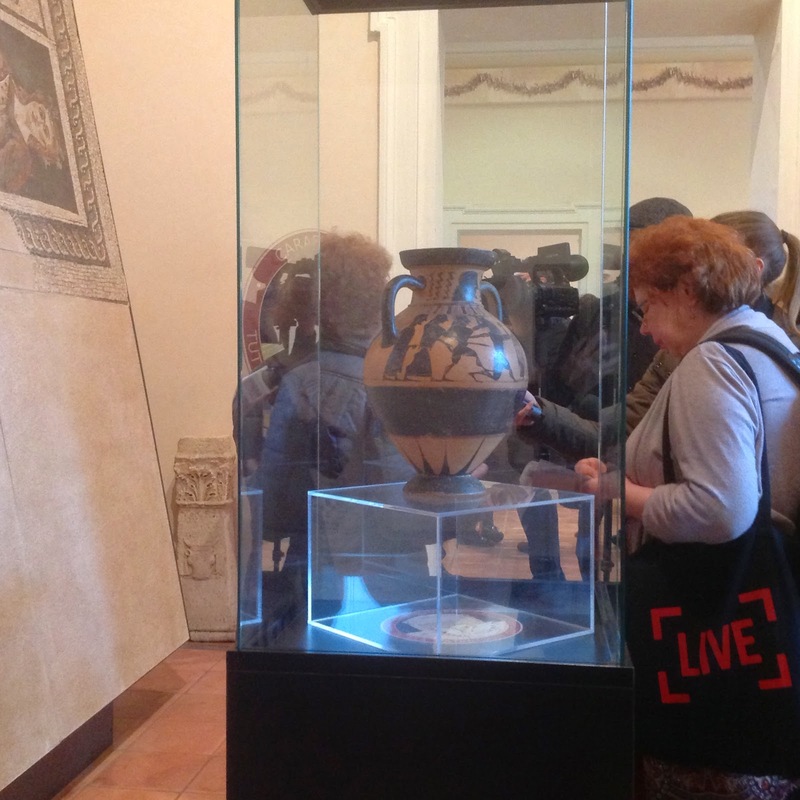 The antiquities on display during the press conference are objects well known to researchers in the field of Italian antiquities looting and have been held as part of the ongoing investigation in Rome so that researchers and investigators had access to them as part of the investigation and for cataloging purposes. 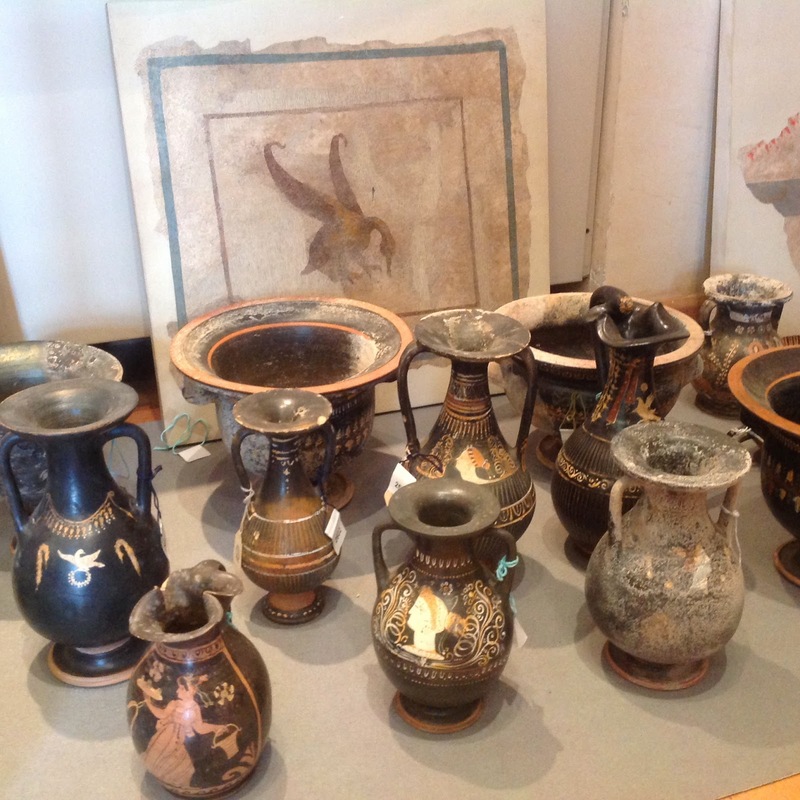 The collection may gone on temporary display in Italy as a group but will then be disbursed to museums in the regional areas where the objects were likely looted. My academic training was at the Hebrew University in Jerusalem in the department of Archeology - at that time the head of the department was Yigael Yadin, whose father was known for the discoveries of the Dead Sea Scrolls. He himself was famous for the excavations at the breathtaking desert palace of King Herod at Masada. During my studies, Yadin was involved in Hazor, another major excavation in Northern Israel. It was exciting to participate in such high profile digs. My career moved into the museum field and I worked at the Jewish Museum in New York and the Peabody Museum at Harvard University. At one point, I decided to make a 360 degree shift and somehow came towards fine art insurance, which started a 30 year career with the Chubb Group of Insurance Companies. It may seem unlikely to take that kind of a career path, but ultimately it was a completely rational progression whereby the skills that I acquired in the academic and the museum world matched the corporate needs of the insurance company. It was a very good partnership whereby I benefited from learning about the business world and applied those skills to fine art clients, whether they were private collectors, galleries or cultural institutions. In the insurance process the key to profitability means choosing the right customers, at the right premium and then providing them with means to protect and preserve their property - analyzing these variables can make the difference between making a profit or having a loss. Providing the risk management and risk prevention is an essential benefit to the art community. In my role as an insurance executive I made sure that there was an equal balance between these demands and that the art community would benefit from an innovative approach to risk prevention. During my tenure at Chubb, we developed specific products to benefit the art community such as the Museum and Cultural institution program and an art gallery program. We came up with software products to help museums and cultural institutions manage their collection as well as infra red testing to detect hot spots in the walls that may mean that there was an electrical problem which could lead eventually to a fire. Preventing losses meant that one had to analyze the risk to make sure of the integrity of the insured - quite often I came across potential insureds who had questionable reputation or they were out right criminals. Many times it was a question of fraudulent valuations, either inflating values or trying to pass on a fake as the genuine item - catching these types of bad risks can be thrilling! Almost everyone has some sort of a involvement with insurance, but most people do not understand the insurance transaction and have all kinds of misunderstandings of the process. In my course, I will cover the fundamentals of art insurance, the relationship between the different players and how the process actually works! We will address the different needs of the private collectors, museums and commercial galleries and focus on actual cases of art fraud and how the insurance transaction will or will not respond. We will also look at ways in which bad risks can be improved and we will demonstrate that through case studies in which theoretical and practical approaches will be taken. Those students who plan to move into positions in the art industry will find the course to be very useful in their future career. With so much in the news about art theft, fraud and fakes, and residual WWII issues, the course will be both relevant and timely. On the final days students will be divided into 4 teams in which they will create scenarios including role plays to reflect what they have learned during the course. These scenarios will be judged on their originality, reality and creativity of presenting an insurance risk, a claim situation and determine if its a covered loss, and if not, why not. There are several films that I would recommend: “How to Steal a Million" with Peter O’Toole and Audrey Hepburn is a fun movie that touches on many points that are relevant ( but not necessarily realistic) to the insurance course, also "The Thomas Crown Affair" and "Entrapment" and -- a very good documentary about art theft -- is “Stolen” by Rebecca Dreyfus. Ms. Straus serves on the board of directors of AXA Art and Crozier Fine Art. She is also an insurance consultant for Art Recovery International. Ms. Straus recently wrote in an email: "I started a project working with artists in the Hudson Valley in New York State called Art Hudson/Farm to Frame, bringing collectors and artists together, to support the arts and preserve farmlands. In 2014, we visited studios of Judy Pfaff; the private gallery of Steven Holt "T Space" with Carole Schneeman; and a visit to the new space of Jack Shainman "The School". Each event included a sumptuous farm to table lunch by top local chefs - and the events also support the great works of Scenic Hudson a not for profit environmental Advocacy organization! Exciting events are planned for spring and fall of 2015 - stay tuned!" Tom will be returning to Amelia this year to teach ‘The International Art Market and Associated Risk’. The course provides a comprehensive overview of the art market’s historical evolution as well as an insight into its diverse business practices today. Students are introduced to the market’s key institutions, public and private, in order to develop a critical awareness of the inherent risks and rewards of art commerce. The lecture program seeks to create a relaxed space of intellectual inquiry and exchange in which students are able to ask testing questions of the status quo and to challenge received wisdom about the market and its institutions. Discussions usually continue beyond the classroom to create a continuous forum for debate and informal exchange of ideas. The course interweaves historical and contemporary strands with a view to understanding the evolution of the market’s core relationships and business practices and how these often inadvertently create an environment in which a range of unethical activities can occur. We explore how the European art market developed out of the princely and royal collections of the sixteenth and seventeenth centuries; its emergence as a commercial activity during the eighteenth century; the rise of the professional art dealer in the nineteenth century; and culminating in the globalization and ‘financialisation’ of the market during the twentieth and twenty-first centuries. Throughout, students are prompted to explore the relationship between the aesthetic and economic spheres in the creation of value and to develop an understanding of the art market as a nexus of socio-economic activity. What will be the focus in your course? As in past years, the main aim is to create a relaxed, interactive environment in which students can help each other learn through dialogue and creative exchange. The content is built around understanding the relationships between the key actors and institutions constituting today’s market. At every point, we seek to explore the complex interchange of price and value, and how these concepts are created and negotiated. 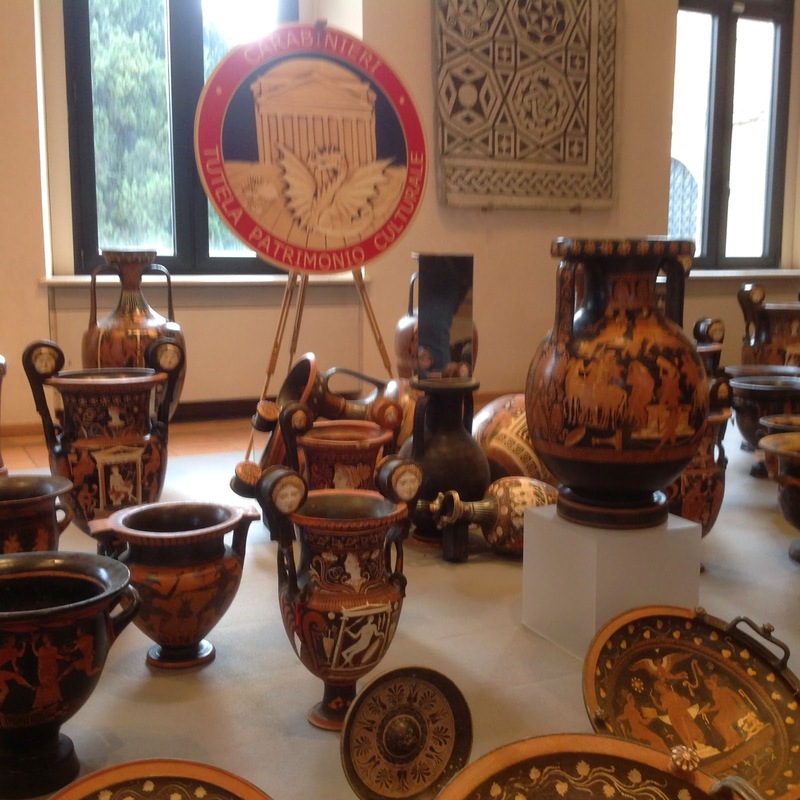 The deadline for the 2014 Postgraduate Certificate Program in Art Crime and Cultural Heritage Protection is March 30, 2014. Late applications will continue through April 30, 2014 subject to census and housing availability. Applications are reviewed on a rolling basis until census is full so apply early. You may send inquiries to education@artcrimeresearch.org. Tom is Senior Lecturer in the Faculty of Art, Design & Architecture at Kingston University, London where he directs the Masters course in Art & Business, and is Adjunct Associate Professor in the International Art Market at Richmond, the American International University in London. 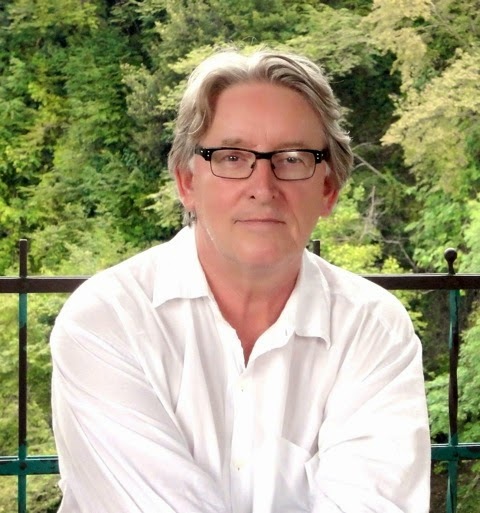 A former auctioneer and art market journalist, Tom writes and and lectures widely on the art market, art crime, art & technology, museums, cultural heritage and historical and contemporary sculpture. He holds degrees from Sussex University and the Royal College of Art and wrote his doctorate on nineteenth century critical attitudes to the chryselephantine sculpture of antiquity. 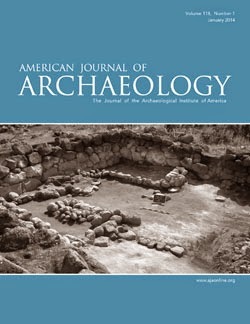 Sheila Dillon, Editor-in-Chief of the American Journal of Archaeology, publishes letter on the AJA's publishing policy on its "commitment to protecting archaeological heritage"
Finally, in light of recent events in both this country [USA] and abroad, it is important to restate that the AJA maintains its commitment to protecting archaeological heritage. In keeping with the 2004 policy of the AIA [Archaeological Institute of America], the AJA will not accept any article that serves as the primary publication of any object or archaeological material in a private or public collection acquired after 30 December 1973 unless its existence is documented before that date or it was legally exported from the country of origin. In addition, given the recent and continuing threats to the archaeological sites and material culture of countries such as Syria, Iraq, Egypt, and Libya, the Editor-in-chief and members of the Advisory Board condemn in the strongest possible terms the recent sale of Egyptian artifacts and the scheduled sale of Mesoamerican artifacts by the AIA St. Louis Society through the auction house Bonhams. While technically not illegal, the sale of the Egyptian antiquities certainly violated the spirit if not the letter of the agreement that brought the objects to St. Louis in the first place. 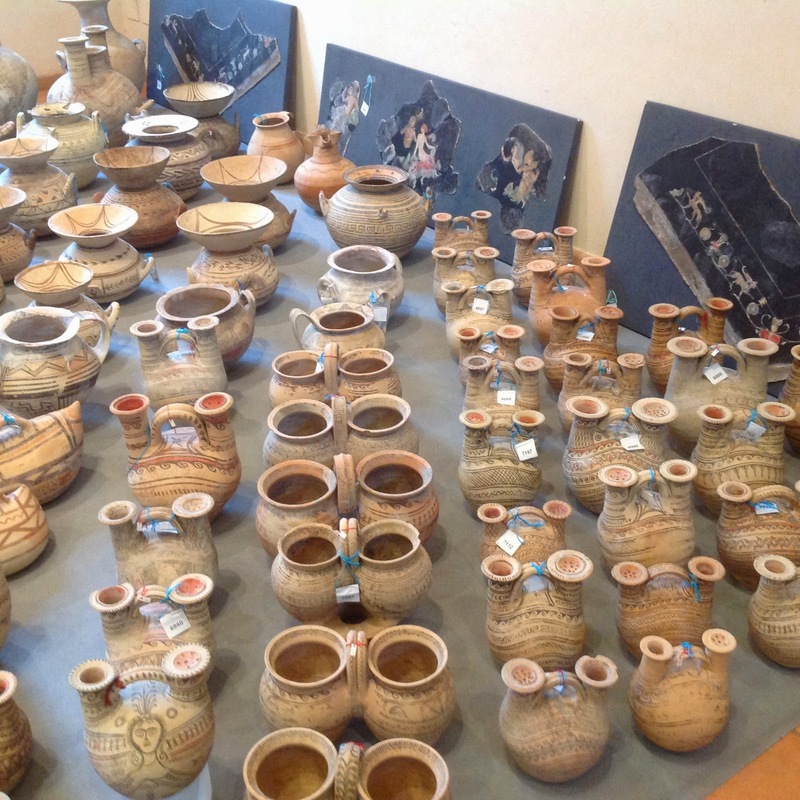 The selling off of archaeological artifacts in the society's possession not only contravenes the ethical standards current in archaeology but also reinforces the commodification of archaeological material and in effect condones the traffic in antiquities, which is in opposition to the AIA's principal missions of research and education. 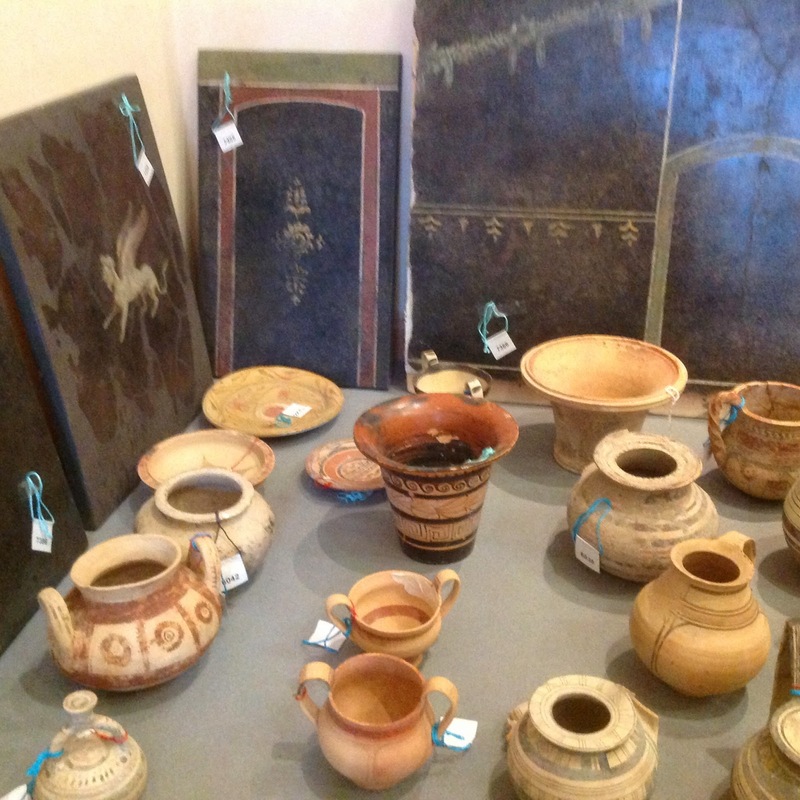 As stewards of the past, no one associated with the AIA should be incentivizing the illicit trade in antiquities, which is a global criminal activity. High-profile sales such as these can have the unintended consequence of putting further at risk the archaeological heritage that the AIA has vowed to protect. Here's a holiday-delayed follow up post to the press conference on the recovery by the LAPD and the FBI of paintings stolen from an Encino residence. All comments quoted below were reviewed and approved by both the FBI and the LAPD officers involved. I would like to thank retired FBI agent Virginia Curry who made a phone call to get me into the press conference. Hello, my name is Bill Lewis, the Assistant Director in Charge of the FBI’s Los Angeles Field Office. I’m joined here today by…. On August 23rd, 2008, the LAPD initiated an investigation into a residential theft of nine pieces of artwork that are valued at up to $12 million, though that number may change when experts further evaluate the paintings. At that time, the company which insured the paintings had offered a $200,000 reward for information leading to the recovery of the stolen artwork. This past September, that reward offer generated a lead overseas. 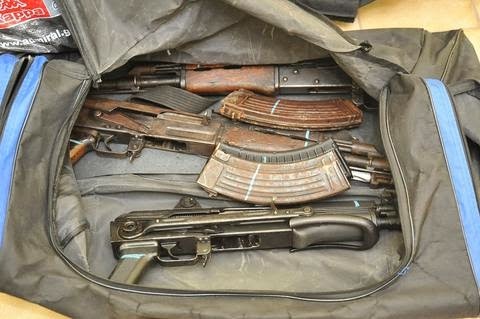 From that point, the FBI’s Art Crime Team members here in Los Angeles worked jointly with the LAPD. An undercover investigation led to an individual believed to be a fence conducting the sale of the artwork. 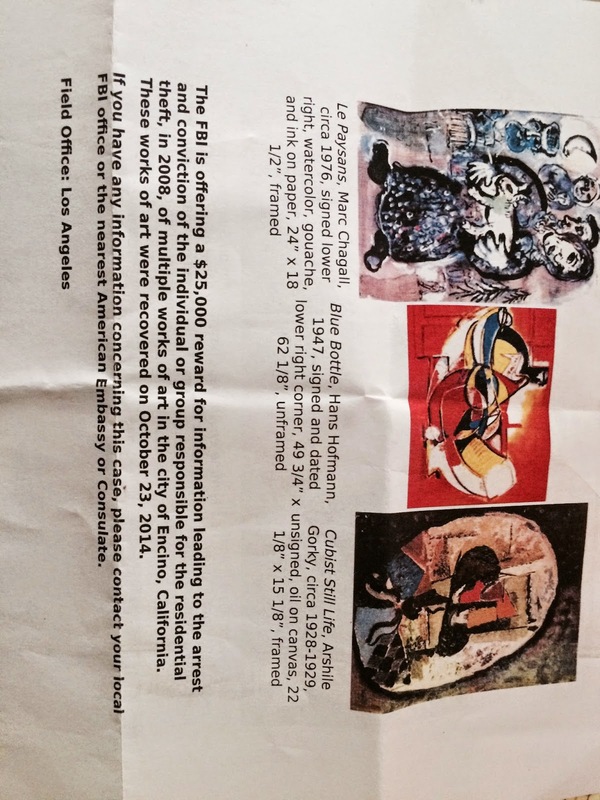 On October 23, 2014, a meeting was arranged in West Los Angeles with undercover agents posing as potential buyers and an individual believed to be in possession of the stolen artwork, now identified as Raul Espinoza. By the end of the meeting, nine pieces of artwork were recovered and Espinoza was taken into custody. On October 27, 2014, a felony complaint was filed by the District Attorney in Los Angeles charging Espinoza with receiving stolen property. Art theft is multi-billion dollar industry and something the Bureau takes seriously to protect America’s culture and national treasures. 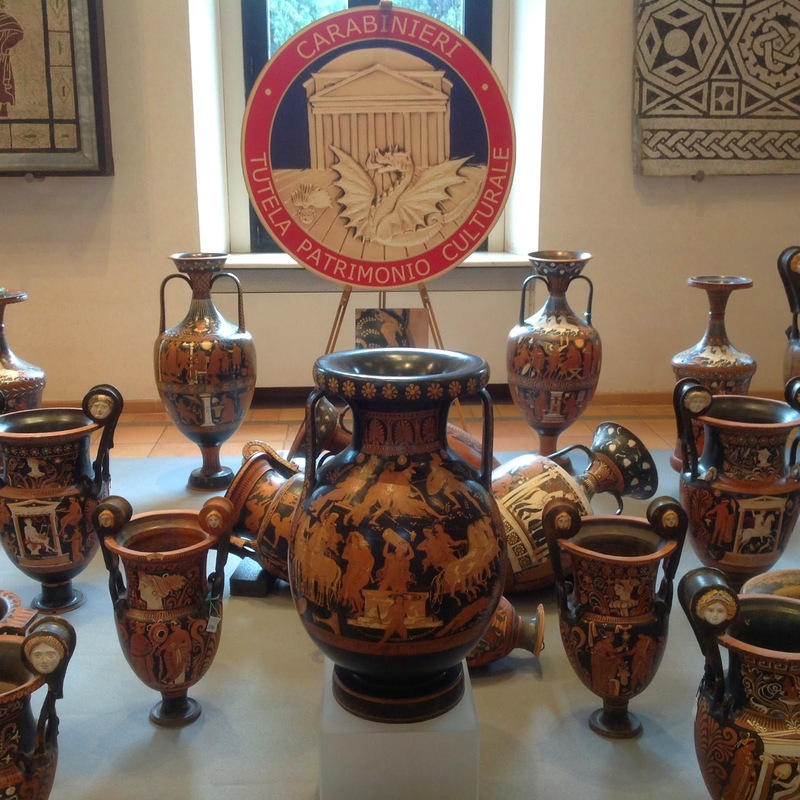 The Art Crime Team has also recovered art and cultural artifacts from other nations when it’s found or fenced through the United States. If you’ll notice, much of the art on display was painted in the 20s and 30s so the rich history recovered here cannot be overstated. Investigators believe that others are associated with this crime and know that someone has valuable information. We are offering a reward of up to $25,000 in exchange for information leading to the arrest and conviction of individuals responsible for this crime. 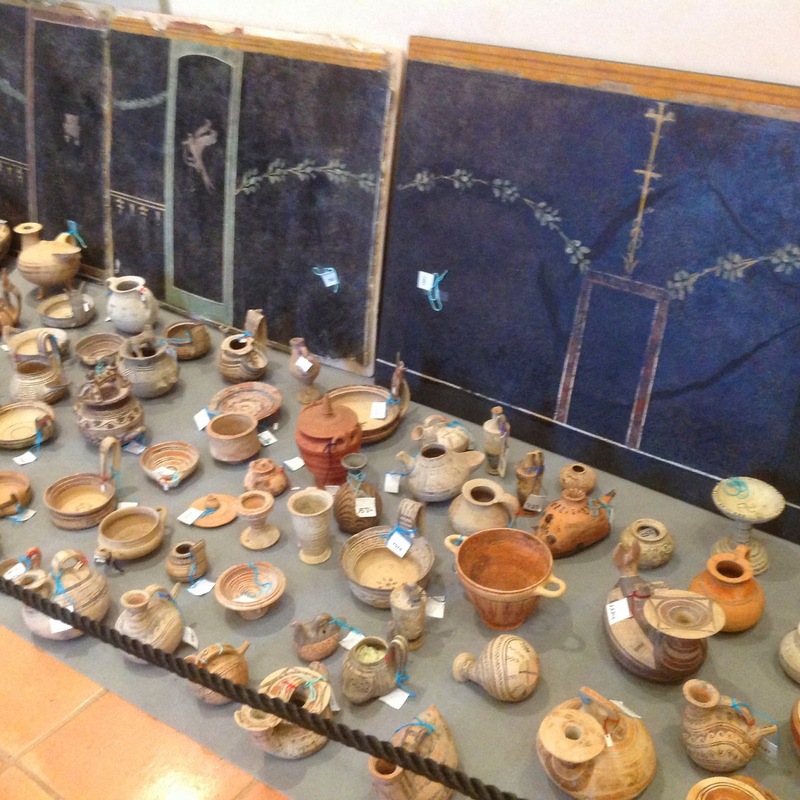 Bill Lewis, FBI assistant director in charge of the Los Angeles office, said that the FBI and the LAPD would not give up on an investigation until they recover the artifacts. As to the condition of the returned paintings, Hrycyk said that some of the frames had been removed and that the paintings were in “not that bad” of condition (the artworks had been examined by a professional conservator). At the end of the press conference, Elizabeth Robert, Assistant Special Agent in charge of the FBI’s Los Angeles Field Office, spoke in Spanish for Spanish-speaking media correspondents (the suspect, Raul Espinosa, is a Mexican national). I also asked Don Hrycyk who has handled more than 800 cases over 20 years for the LAPD, what surprised him about this case. 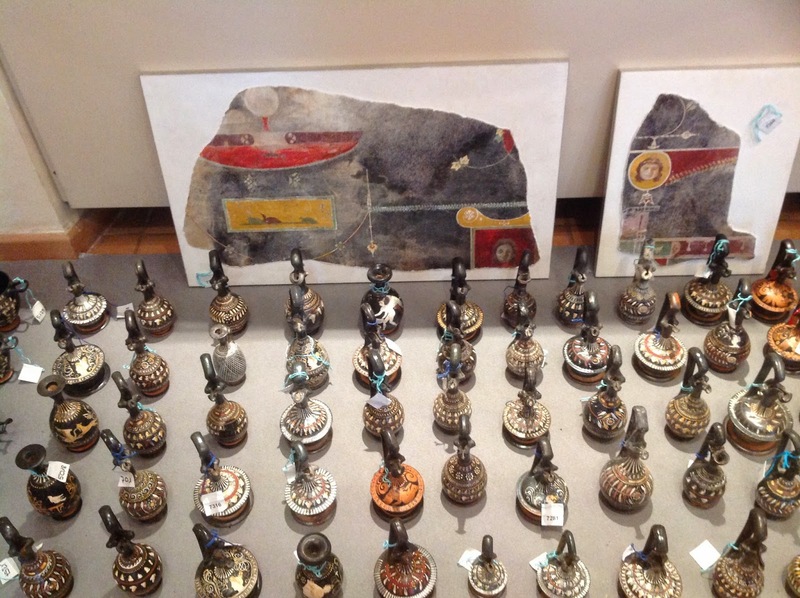 “It’s surprising to walk into a home and realize that there were millions of dollars of art on the wall without proper security meaning the security precautions were inadequate for the protection of a multi-million dollar art collection," Detective Hrycyk said. "This is a common problem I have seen over the years - either inadequate security or adequate security that is not consistently used (not setting the alarm, leaving doors unlocked, surveillance cameras that don't work, etc.)." What about when the art is recovered? Any surprises? What is the end goal of the reward?